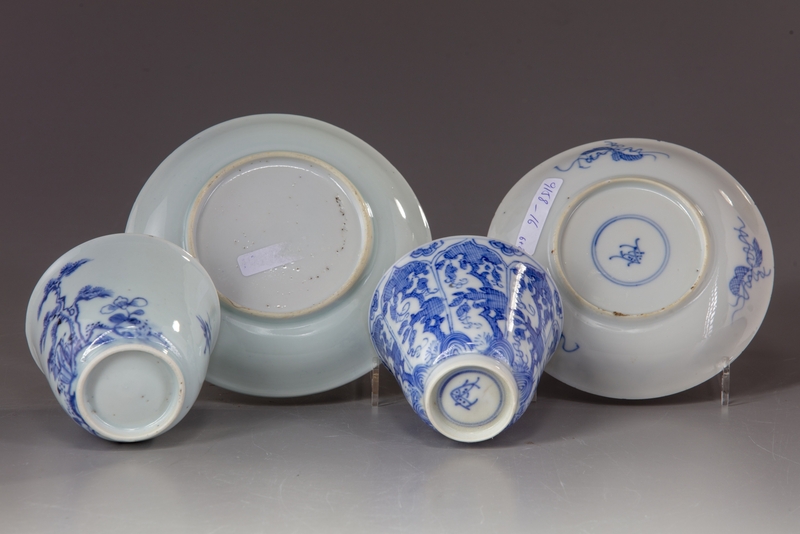 - A Chinese porcelain cup and saucer decorated with panels enclosing flowers. -A Chinese porcelain cup and saucer decorated with a flowering branch beside a pine tree. 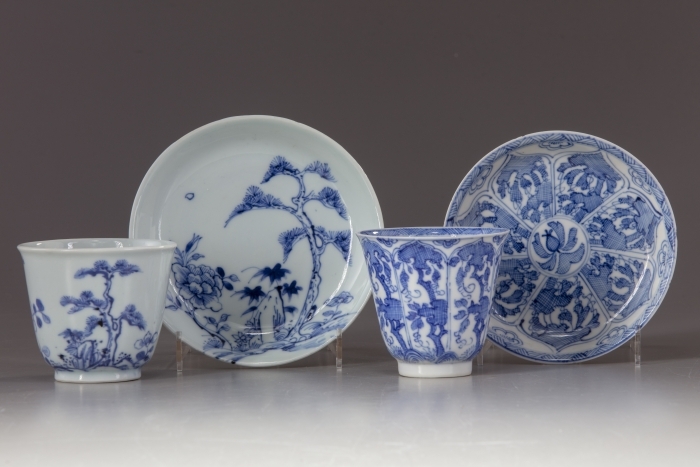 The blue and white "tree and flower"
cup: 6.50 CM. high, 7.00 CM. diameter. The other cup: 7.50 CM. high, 7.00 CM. diameter. The saucer: 12.30 CM. diameter.